When Graham Greene died in 1991, at the age of 86, his reputation as a “Catholic” writer was assured. His books reflected an awareness of sin and confronted political and religious themes with a sombre eye. 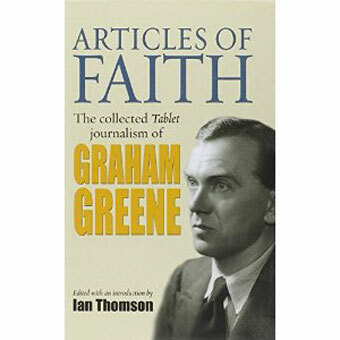 From 1936 to 1987, the British Catholic journal The Tablet provided Greene with a forum for his works-in-progress and sometimes unorthodox religious views. For the first time his Tablet contributions are collected in one volume; much of the material has remained forgotten for half a century.